Those who've longed to run their own bagel or fitness franchise may get just the push they need from a real estate company eager to fill retail space. 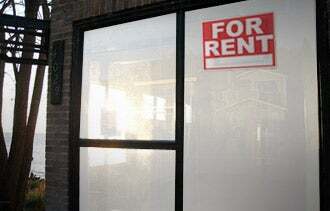 Kimco Realty, which operates the biggest portfolio of neighborhood shopping centers in North America, is joining with franchise chains to treat one of the biggest symptoms of a weak economy: vacant storefronts. The New Hyde Park, N.Y., REIT recently launched FastTrack Franchise, a program that helps entrepreneurs find and open a franchise business in shopping-center spaces that certain chains have pre-approved as store locations. Would-be franchisees might stumble across one of the storefronts on a trip to the neighborhood strip mall, or could go to Kimco's site and search by franchise or location. "We've had more vacancies than in years past," said Brett Cooper, Kimco leasing associate for the northeast U.S. To ramp up leasing efforts in its small-shop space – stores under 5,000 square feet – the company has reached out to franchisors and asked them to pre-approve certain locations for their chains. Kimco will hang a sign in the window and list the shopping center and franchise on the FastTrack site. "We think that there's a lot of entrepreneurs that would like to open up their own business [or] open their own franchise but don't know how," Cooper said. Kimco put up the website on Jan. 1 and hung its first sign in mid-February, in the Central Islip Towne Center on Long Island, he said. While 18 franchisors are on board so far, the Central Islip space has been pre-approved by five, including Pearle Vision, Bruegger's bagel shop and the Hand & Stone spa. The REIT received two calls in the first week, Cooper said. Other franchisors working with Kimco elsewhere include School of Rock, The UPS Store and Wild Birds Unlimited. The company is operating the program in 46 centers in nine Northeast and Mid-Atlantic states initially and hopes to eventually expand it throughout the portfolio. Kimco isn't the only shopping center operator promoting franchise tenants this way. DDR Corp., which manages nearly 540 shopping centers, this month announced FranchiseConnect, a web platform that also connects entrepreneurs, pre-qualified shopping centers and franchisors.